A sculpture with a grand majestic look. 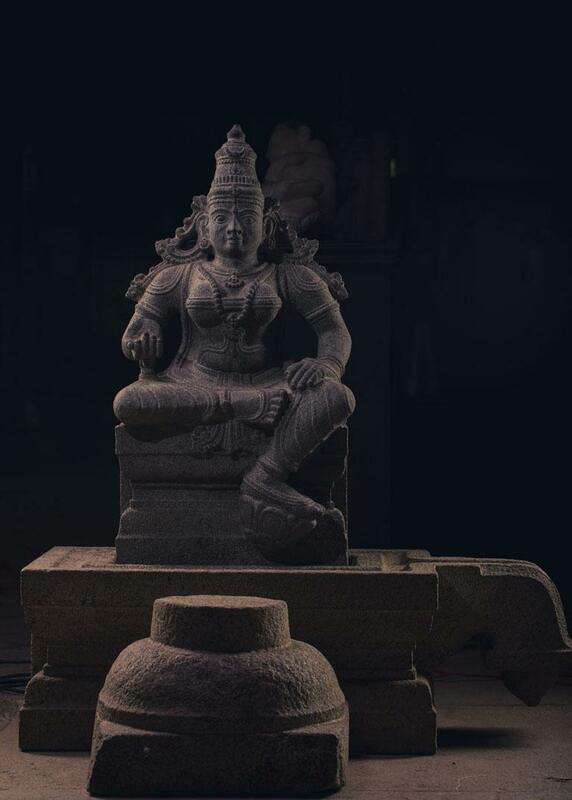 This exhibit is a stone sculpture of two handed seated Devi in Yonipita. The Devi is fully ornamented and has a graceful face with a sharp and powerful look.